Picking the best round the world routes for backpackers can be challenging. 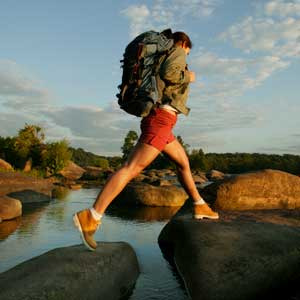 Mainly because the joy of backpacking is that everything can be tailored to your individual preference. Whether you want to explore the wilderness or the urban jungle, there’s somewhere in the world that’s perfect for you. There are few places in the world that remain inaccessible to the adventurous backpacker. The Sahara and the Amazon are difficult to explore without organised trips, and there are some closed borders which will stop you in your tracks. Countries like Libya restrict travel, while war and terrorism obviously impact on backpacking plans. The good news is that there are still more places to visit than you probably have time to see in one trip. You’ll need to think about your dreams and desires, and allow yourself to be flexible to change, especially if you’re on a tight budget. But some inspiration and research will help you to have the best possible trip. When you’re lucky enough to be able to spend months or years travelling the world, then it’s important to include some variety. Even if you enjoy a challenge, it’s worth planning regular stops at places which will be easier for you to rest and relax before moving on. Popular areas like the Banana Pancake trail in Southeast Asia, the India backpacker trailer, and the Gringo Trail in South America are popular, well established, and mean you’ll be able to recharge whilst still discovering new experiences. You might assume that Europe will be expensive, but it’s possible to travel relatively cheaply. Albania on the South Easter Coast and Estonia on the North Coast both offer relatively cheap and undeveloped places with a rich history and beautiful scenery. Armenia and Georgia are similarly budget friendly and provide a gateway between Europe and Asia. Backpacking in other European countries can also be made cheaper. The availability of hostels, cheaper flights and overnight train and boat travel can save precious pennies, and many larger cities allow you to enjoy a range of free and cheap activities. Most of the European routes are relatively popular, so it’s a good way to ease yourself into the lifestyle of a travelling backpacker. You’ll also be able to meet new people, get used to your kit, and stock up on any essentials you might have forgotten before heading further afield. Backpacking through Africa can offer ancient wonders including the Ethiopian and Egyptian pyramids. Popular tourist traps include Victoria Falls, the safaris in Northern Tanzani and Zanzibar Island. But while the Garden Route from Mossel Bay to Storms River in South Africa and the road to Addis Ababa are popular, there are also budget friendly locations including Ethiopia and the fairly little-known Djibouti on the Red Sea. The North Drakensberg Traverse is a notable trip with a three mile, 3,280 foot climb up a wall of rock in South Africa and Lesotho. Africa offers lots potential of volunteer work is this is one of your objectives, just make sure this is fully arranged prior to leaving and your travel insurance covers this. Those looking to overland and see Soviet history might choose a trip through Russia and Siberia, including the Trans-Siberian railway. But such a large country does have sizeable areas of forests and snow which don’t always make for excitement once you’ve left the cities of St Petersburg and Moscow. That’s why backpackers tend to focus on India and South East Asia. India, Nepal, Vietnam, Indonesia and Myanmar (formerly Burma) are all worth investigating for both amazing sites and relatively cheap backpacking. It’s impossible not the mention the Himalayas, or the beaches of India and Nepal. But there is a huge contract between the rural areas and bustling cities of Saigon in Vietnam or the dense chaos of Mumbai (home to around 18 million people). One of the most famous hikes in the region is the Mount Kailash Pilgrimage in Tibet. Meanwhile the Great Himalaya Trail covers 3,000 miles, with the Nepal section alone requiring months to complete but providing the challenging experience of navigating the world’s highest peaks. Fortunately it can be tackled in sections, and the lower, parallel Green Route offers a less intimidating alternative which you can switch to if want to hike somewhere less technical. South Asia also includes what is regarded as the most difficult hike on the planet, with The Snowman Trek in Bhutan covering 200 miles above 16,000 feet. That means unpredictable weather, altitude sickness and a strict tourist policy combining to keep numbers low and still around half of people attempting the walk drop out. Heading further South East will lead to the Phillipines, Borneo and Bali. And you’ll then reach the massively popular destinations of Australia and New Zealand. Besides Ularu and Ayres Rock, most backpackers tend to focus on the East Coast of Australia. The large distances for Alice Spring, Perth and Darwin lend themselves to public transport or hire cars. You’re bound to know at least a few people who have either visited or lived in Australia to find tips and advice. One relatively new hiking addition is the Bibbulmun Track, which runs for 600 miles from Kalamunda to Albany on the south coast. South America follows a similar pattern to most continents outside of Europe, with the most popular routes tending to follow the coastal areas from Chile and Argentina up to the more popular destinations of Peru and Boliva on the West Coast, and Brazil in the East. The famous festivals and hugely influential cuisine are big attractions, and bus travel is as plentiful as it can be variable between different regions. The Inca Trail and Machu Picchu are extremely popular, along with experiencing the Atacama Desert. Go beyond that with the Santa Cruz trek for more solitude and higher mountain climbs. Heading north through Central America will cram in a lot of experiences into a small space, dominated by the influence of the Mayan civilisation as you pass through from Panama to Guatemala. Although Honduras has a bad reputation for safety, and both Belize and Costa Rica have relatively high costs, there is plenty to enjoy in the other countries of Central America, from beaches to amazing landscapes. Cuba is also relatively accessible from locations like Belize, or Mexico, which also provides the land route into North America. The range of sights and experiences during a Mexican trip can vary from the dense jungles in the south to the beaches and wetlands of the Yucatan peninsula and the deserts of the North. One notable hike includes Copper Canyon, which is actually several canyons, some deeper than the Grand Canyon, and includes natural thermal springs in the Tararecua Canyon for relaxing after a long hike. North America and Canada may seem potentially less adventurous than other locations, but that underestimates the experiences on offer. The U.S National Park Service maintains 59 areas across the country, including 8.4 million acres of Alaskan wilderness. The North West offers sights like the Wonderland Trail and Mount Rainer, and the North Coast Route of the Olympic National Park. Or you can enjoy the famous trips at Yellowstone, Yosemite, or the Rocky Mountains. It’s worth booking an organised trip via floatplane to experience the Gates of the Arctic in Autumn when roughly 230,000 caribou are migrating. The 800 mile Hayduke Trail also offers a substantial challenge through Utah and Arizona, and both the Appalachian Trail and newer Benton MacKaye Trail offer the experience of the American South. The new age of trails and hiking is offering a huge range of experiences that are more accessible than ever. And that’s probably best summed up by the International Appalachian Trail which starts by covering 1,862 miles of Canada and North America. But to follow the mountain peaks of the Pangea also includes crossing Greenland, Scotland, Spain and Morocco. It’s a backpacking path that will require travel by dogsled, camel, flight or boat crossing, and your hiking boots. If you want a trip that combines a sizeable part of the Western World in one path, this is a good solution. By now you can probably agree that the best round the world routes for backpackers vary wildly depending on the aim of your trip. Each country, region and continent can offer a huge amount of variety. The best solution is to spend time planning and researching, but also able to adapt to new experiences and changing circumstances.